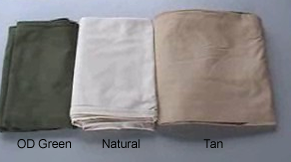 Tarps come in a number of various materials and sizes. No matter what the task at hand, there should be a tarp that can help make it easier and more convenient. At one time, canvas tarps were the most well known. But with modern advancements in technology, many more efficient materials have been created, such as polyethylene, which is now the most popular tarp on the market. The type of tarp used will depend upon the job that it is needed for. The poly tarps also are available in medium or heavy duty strengths, meaning that there is a perfect choice for nearly every job. The canvas tarps are often used by those completing home improvement projects to cover or protect things. Those in the construction business also find a variety of uses for them. Few painting or roofing jobs will be completed without the benefit of a canvas tarp. Farmers have a variety of uses for this product. They cover plants to protect them from extreme weather and temperatures, as well as fertilizers, manure, hay, and equipment. Truckers often need canvas tarps to cover items that they are transporting. This will help the items to not only stay put in the back of the truck, but they will be protected from the elements, as well as thieves and troublemakers. Occasionally items will be sharp, contaminate, or otherwise dangerous so that they need to be carefully protected. The canvas tarps are also great for covering items while they are being stored. They can keep dust, bugs, and other unwanted pests from ruining an important piece of furniture, and they can also protect others from being hurt on a piece of equipment or sharp tool. There are hundreds of uses for this handy accessory. Nearly everyone has a tarp or two around their home that they find many uses for. They are simple to use, durable, and last a long time. Do you guys have a store in Georgia where we can get canvas tarps. We can buy on-line but needed to pick up the canvas tarp today. My tarp tore today.